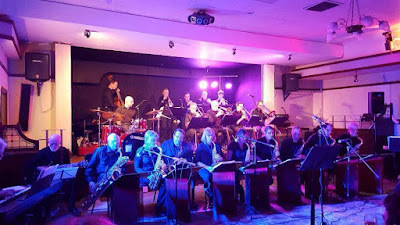 Wakefield Jazz are hosting a special, family-friendly gig this Sunday July 9th featuring the York Big Band Initiative and vocalist Marlena Kelli. In addition to their regular Friday evening programming, this gig will take place on Sunday afternoon from 1pm, giving families and young people the chance to experience the joyous force of a full big band live and up close. Musical director Ian Chalk says This will be a fantastic opportunity for them, and just shows how much they've grown, musically, in the last five years. Tickets cost £10 full price and £5 concessions and can be booked online via the wegottickets website. For more information on the band, see the York Big Band Initiative website.